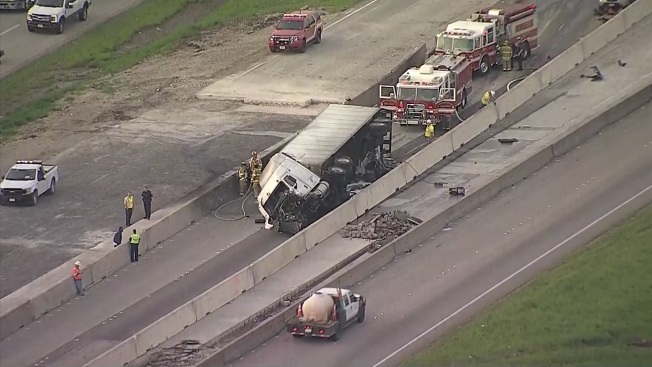 All northbound lanes of Interstate 35E are closed north of Waxahachie Thursday morning after an 18-wheeler crashed and caught fire. The crash happened in a construction zone near Butcher Road. Video from Texas Sky Ranger showed the charred wreckage of the truck. No other vehicles were involved. The interstate will be closed for several hours as authorities remove the debris, police said. Traffic is being diverted onto the service road. Despite the damage, no injuries have been reported.